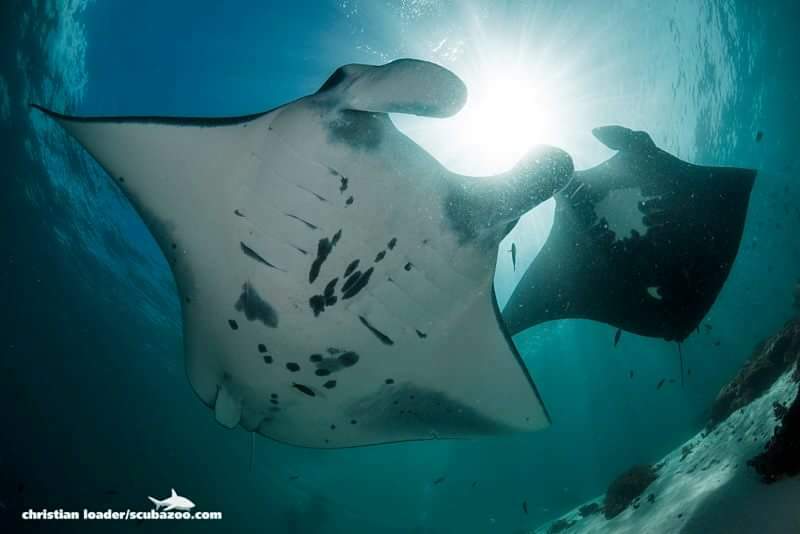 · Manta Rays are what we call ‘filter feeders’. That means that as water passes over their gills they filter out the delicious plankton. 2) To get enough plankton they must filter through 90 tonnes of water a day! · The average human struggles to drink more than a litre a day. · They have the largest brain to body ratio of all fish. · They are extremely curious and will come and will swim past you looking you right in the eye! 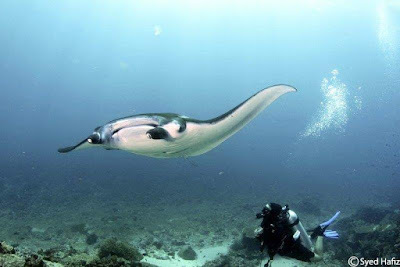 There have been cases recorded of Manta's allowing divers and snorkelers to help them when they have been in distress. For example, they appear to have been receptive to help in instances such as entanglement. After allowing people to help them, they have been seen to return to the diver as if to say 'thank you' ! · The Manta Alfredi – the Reef Manta. Found around the coral reefs of the Komodo National Park, these are a smaller species of Manta Ray that are extremely sociable. 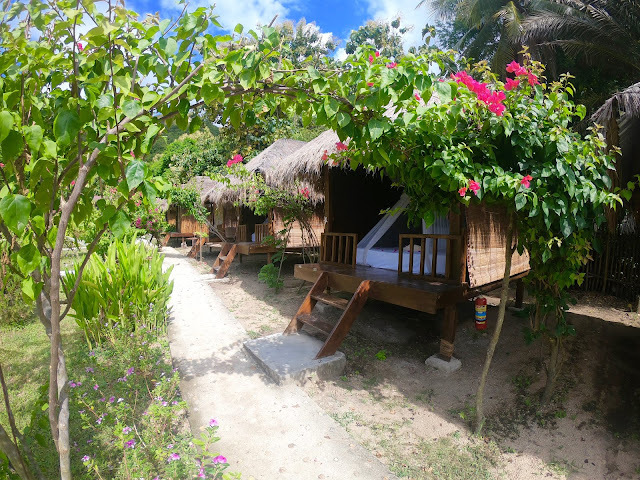 · We see them cleaning and feeding in groups often exceeding five at a time! · The Manta Birostris – the Giant Manta. This manta reaches up to 8m in wingspan and they tend to frequent oceanic pinnacles. They tend to be a lot more solitary and travel far greater distances. 6) They like to stay clean! · In the Komodo National Park we are lucky enough to have several dive sites that act as cleaning stations. A cleaning station is an area of reef populated by reef-dweller cleaning fish. 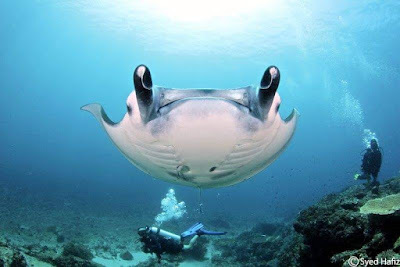 They eat bacteria, parasites and dead skin helping maintain the health of the manta and prevent infections. 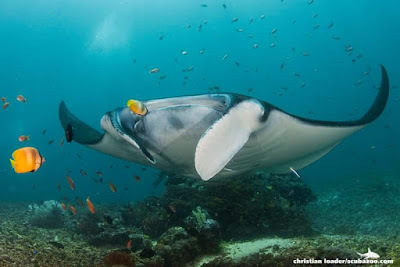 · Various species of fish will clean the manta rays. Certain species have certain jobs. Some clean scar tissues, some clean the gills, some clean the teeth. On average an Manta will spend around 2 hours being cleaned a day. Some individuals have been recorded to clean for up to 8 hours. 7) That’s right! Manta’s have teeth! · They may be small, but they are there! · The behaviour that preludes mating is fascinating to watch. The female will glide through the water; flipping, turning and swinging. · The two mantas will swim up to the surface, the male will bite the left wing tip and the mating will begin. · As they are actually negatively buoyant, as they mate they will descend. Finishing just before they hit the bottom and both swim off, going their separate ways. 9) Ninja Mantas - That's right, they exist! A genetic mutation causes a discolouration in some Mantas. This means that we can sometimes see an all black manta ray - called a 'Melanistic Manta'. 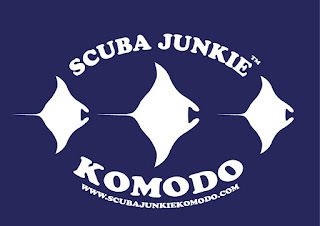 These make up about 10% of the population in the Komodo National Park. There is also the Leucistic Manta - the all white Manta Ray. Although there is no scientific research, they are claiming there are an array of health benefits from consuming gill rakers - such as improving skin, reducing toxins and even preventing cancer. The meat of the manta is worth very little and will often be used in animal food. I'm positive that I can encounter manta rays when we go diving at Tawali dive destination in PNG. I want to see these creatures with my very own eyes.